We are a family-run medium-sized wine-growing estate at Leistadt. Leistadt lies 3km north of Bad Dürkheim, a famous spa and wine town of Palatinate. On 7 hectares we grow 15 different varieties of grapes and produce individual wines of different quality levels. We still cultivate our vines on our own and develop our wines in own wooden barrels and premium steel tanks. We own our wine-growing estate for more than 400 years. Until today our producing philosophy hasn't changed: we still produce "honest wines" depending on nature and thus varying from year to year. 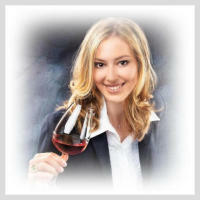 Gabi became wine princess of Bad Dürkheim and the following year wine princess of Palatinate.